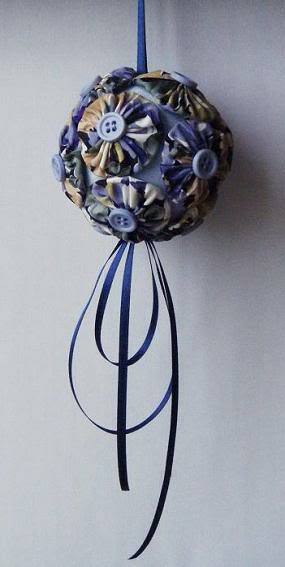 I started these two balls way back in the summer but I finally had time to finish them with the buttons I bought in November. An interesting bit about the gold buttons. I bought three cards and they all had the same stock number on them. It was only when I had them off the card and handled them that I discovered that one card held metal buttons and the other two had plastic buttons. 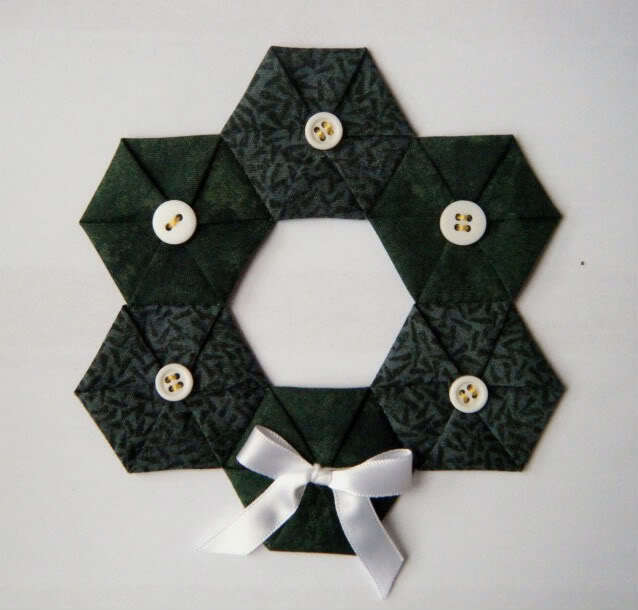 I also had a new inspiration and decided to make a wee wreath with 6 hexagonal yoyos. 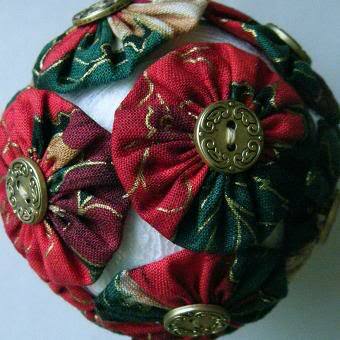 Alas, I had only one red button of the right size but the white ones looked better than I thought they would. 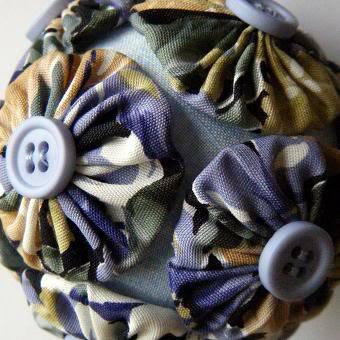 I may or may not change the buttons after my next trip to the "button store". 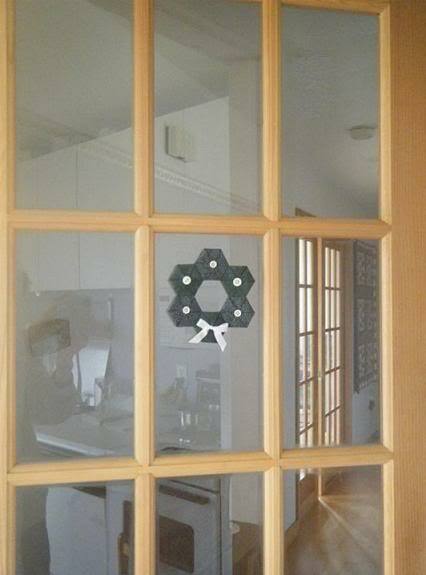 Very cute wreath and a wonderful way to use those hexagons! Thank you Arlette. And thanks even more for sharing the products of your creative mind.